If your like me you have a habit of cruising Craigslist finding things that you want but can't afford. But once in a while, their is something but you do have to be quick about it. So was the case with finding this truck. Picked this 1992 F-250 for $250 and brought it home on a trailer. 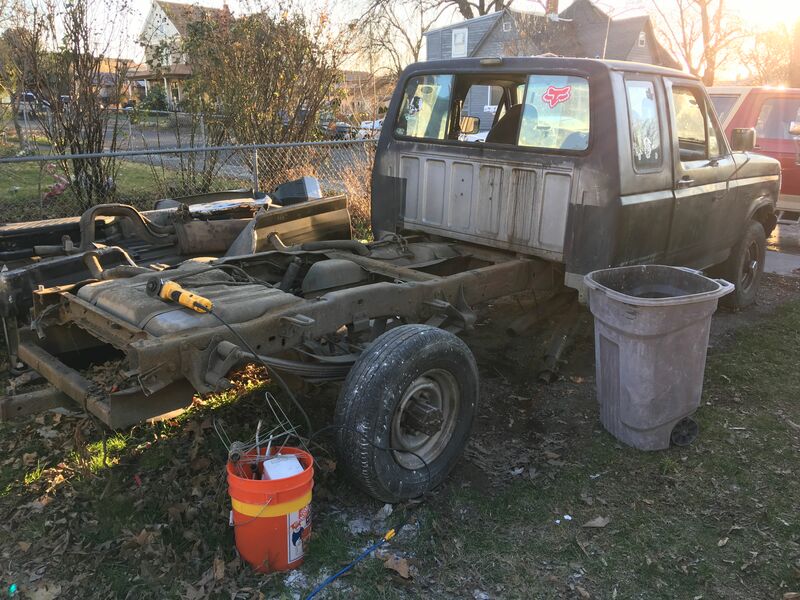 The engine runs great but a lack of mechanical knowledge from the previous owner quickly brought the life of this truck to an end. Items of convenience such as power steering and front brakes are gone from this truck. The bed is very rusted and black paint covers up many problems. However this is a 460 truck and not a silly diesel. So the plan is to clean up the engine and find a new home for it. 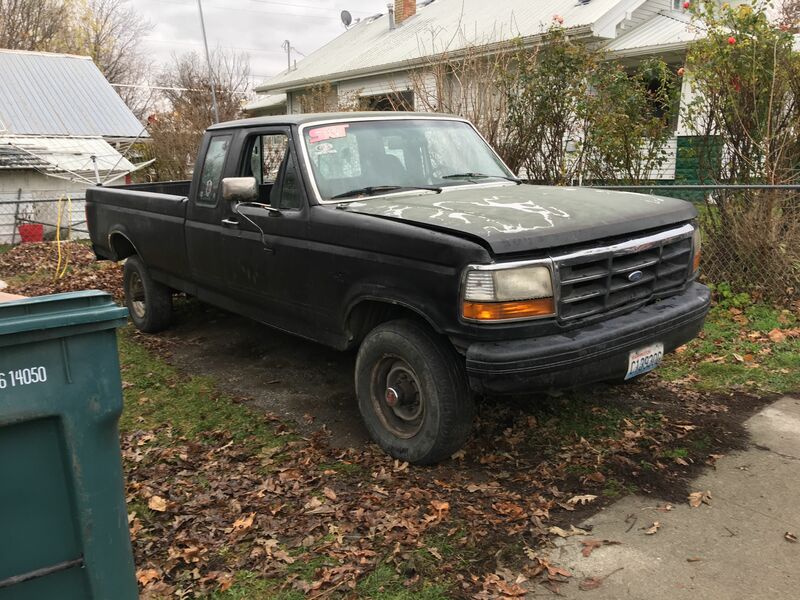 I'm tossing up the idea of dropping the 460 into a F-150 2wd and making a fun drag race truck or replacing the tired 460 in the 1984 Crew Cab Long Bed. Don't know what I'll do yet but the neighbors are hoping that the Black busted thing on the block will go bye bye sooner then later. Guess its time to order an engine stand. Check back often to see what progress gets made on Betty and the 460 engine. GL with the next project! With so many mom and pop garages STILL CLOSING in our neck of the woods, there are stands and other garage equipment often on craigs or in newspaper ads. We have many quick lube places here in town and a few transmission shops but only 1 maybe 2 true mechanic places. My family has been using the same mechanic since 2006 and he has even mentored me on what to do to fix my vehicles. He knows that if I can't fix it'll end up in his shop. I never have to wonder if I got ripped off or not. Working on the 460 will be fun, I've been wanting to tare down an engine for a few years now. Best part is I don't have to sell off parts of the Truck to make-up for the price. GL with the 460 in the New Year my friend! Made some progress after many months of letting the truck sit. Wow, its 2019 and this truck is still taking up room... 2018 went by quick with other projects taking my attention. Hope to get back to this one soon.